Signs have emerged indicating that a new Apple store is under construction in Beijing and may be open by year’s end. 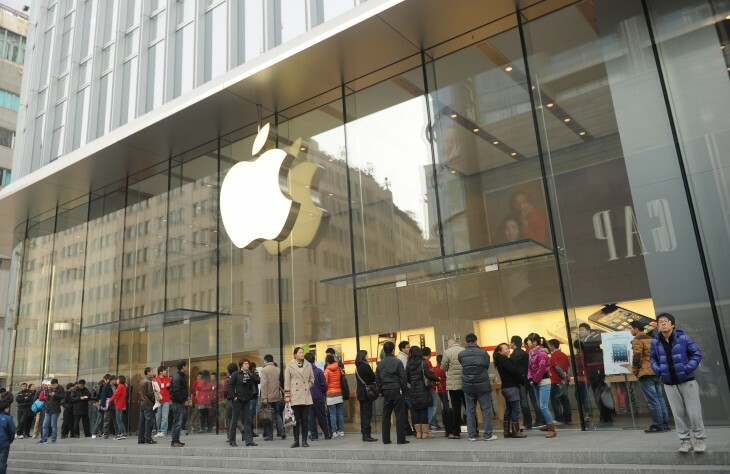 A piece in today’s Beijing Business Daily describes a not-yet-completed building with a strong resemblance to a typical Apple retail outlet, located in Beijing’s China Central Place Shopping Center in the Chaoyang District. First spotted by a reporter for the publication, the building is two-floors and occupies about 500 square meters. Though it’s currently enclosed in what’s presumably a protective or supportive construction material, when one looks at the picture, it’s easy to imagine the structure as one of Apple’s signature glass cages. According to the piece, inside sources claim the store has been in planning phases since Apple’s flagship Wangfujing outlet opened last October, and that top team members from that branch have headed to Chengdu to proceed training store managers, as is typical before a new store opens. Should the new outlet indeed open its doors towards the tail end of this year, the timing would likely coincide with the release of the next version of the iPhone in the country. This past year has seen Tim Cook, CEO of Apple, repeatedly affirm his commitment and enthusiasm towards Apple’s future in China. Just last month, when reporting quarterly earnings of $8.2 billion for the region (an 8 percent increase from the previous year), Cook stated that he intends to double the number of Apple Stores operating in the country within a two-year timespan. Earlier this year, while on a visit to Beijing, Cook estimated that China would eventually surpass the United States and become Apple’s largest market. When the iPad Mini saw its release in the country, demand was so great that some customers faced a two-week delay before receiving their devices. Despite this, Apple occupies a market share of only 8 percent in the country, sitting in at fifth place behind Chinese manufacturers Huawei, Yulong, and Lenovo. With this in mind, it has lots of space to improve its performance locally. For one thing, the firm offers no support for China Mobile, provider of the nation’s (and world’s) most widely-used telecom services. Also, an overwhelming majority of handsets in China operate are Android, undoubtedly due to that OS’s stronghold devices in lower price ranges. Meanwhile, few have forgotten this year’s PR blunder involving mishandled warrantees, which led Tim Cook to issue an open letter of apology to Chinese comsumers. Apple currently has eleven stores in China – three in Shanghai, three in Beijing, one in Shenzhen, one in Chengdu, and three in Hong Kong. If the rumors of an upcoming mid-range device for the company are true, this, in conjunction with a speedy emergence of stores, could see Apple’s visibility and adoption in China growing considerably, and quickly at that.